Shunned and embraced, demonized and defended, shouted and mispronounced, these ingredients are the most widely missunderstood, proving equally befuddling to ice cream lovers on all sides of the never-ending, stupid lively arguments. I’m hoping to shed some light here. Stabilizers are any ingredients used to thicken the water in ice cream. They make ice cream smoother, by slowing the growth of ice crystals. And they can improve the texture generally, by adjusting the body, the speed of melt, and the finish. Technically, they are hydrocolloids — suspensions of fine particles in water that form a network, increasing the water’s viscosity, and in some cases forming a gel. When you thicken gravy with flour, make pudding with cornstarch, or mix Jell-o, you’re making hydrocolloids. Which is to say: you’ve probably been using stabilizers for a long time. Properly stabilized ice cream not only resists developing an icy texture over time, but will actually form smaller ice crystals to begin with.1 Improperly stabilized ice cream (like improperly cooked food) can indeed be awful. We’ll be discussing how to use these ingredients well, with the belief that in most cases, it’s possible to make a better ice cream with stabilizers than without. Egg Custard. Custard is indeed a stabilizer. It’s among the most effective at creating great textures, but only middling at slowing ice crystal growth. This is likely because custards exhibit synerisis, or weeping: they let water seep out of their gelatinous structure. The smoothest egg custard ice creams use additional stabilizers. Custard’s other drawback is that it damps the release of flavors more than most other stabilizers—especially lighter and more aromatic flavors, and water-soluble flavors (fruits, etc.). Custard viscosity varies with the concentration of yolks and cooking temperature. For thickening and stabilization, ice cream requires at least 3% egg yolk by weight, which is between 1.5 and 2 egg yolks per liter. 4 to 6 yolks per liter is more common, and some people go higher, making a dessert that’s more a frozen custard than an ice cream, with egg flavors and textures dominating. Cooked egg flavor, like viscosity, increases with concentrationand cooking temperature, and possibly also with cooking time. With yolk concentrations below 4%, eggy hydrogen sulfide compounds will probably be undetectable except after extreme cooking. For more egg-rich recipes, it may be beneficial to keep the cooking temperature between 70°C and 72°C for longer cooking, or below 82°C for shorter cooking. I’ve seen some recipes that use arrowroot starch, which is possibly the best of the refined starches for savory applications, but should be avoided in ice cream. Arrowroot reacts with dairy ingredients to create unpleasant, snot-like textures. Gelatin is the oldest known non-egg ice cream stabilizer. And it’s a very good one. Its ice crystal suppression and texture make it arguably superior to starches, and it’s equally easy to use. Gelatin has fallen out of favor partly because of cost, and partly because it’s an animal product. Even non-vegetarians are occasionally skeeved by knowing their ice cream contains rendered beef and pork tissue. But I would still encourage experimentation with gelatin, if you want to play with stabilizers but aren’t ready yet to buy a whole arsenal of hydrocolloids from the molecular ingredient sites. These are the mack-daddy stabilizer ingredients. They work in minute quantities, have superior powers of ice crystal suppression, offer almost infinite textural possibilities, have no detectable flavor of their own, give superior flavor release (they don’t mute the flavors of the ice cream), and can be almost endlessly confusing. We’re going to look at a small selection of gums individually, although much of the strength of gums comes from their synergies; they work best in combinations. The synergies are often such that the gums reinforce one another, and offer capabilities in combination that they did not offer individually. 1 + 1 = 3, etc. The challenge in creating a gum blend lies is balancing the qualities of the individual gums with each other, as well as with the rest of the recipe, while taking into account the various synergies between those individual gums. Gums are all polysaccharides—big molecules made up of lots of small sugar molecules linked together. They are close cousin to starches … you can think of them as superstarches. Locust Bean Gum, also called carrob bean gum, is made by milling the seeds of the locust tree. It’s been used as a thickener since at least 79 AD, and possibly much longer (look up traditional Indian recipes for cluster beans, another name for guar. They eat it by the bowl. We’ll be using it by the milligram). LBG has the most powerful ice crystal suppression of all the conventional gums. It favors a smooth, creamy, natural texture that does not draw attention to itself. It manages this by forming a weak gel that is stable while frozen, but that is highly shear-thinning, so once the ice cream melts and starts moving, most of the added viscosity vanishes. These characteristics make it the most important of the gums in ice cream. LBG needs to be heated to hydrate. Most varieties require heating above 80°C, which is higher than ideal for many ice cream processes. Varieties sold by TIC gums and Willpowder hydrate at much lower temperatures. Guar Gum is milled from the seeds of the guar plant, which is a legume. 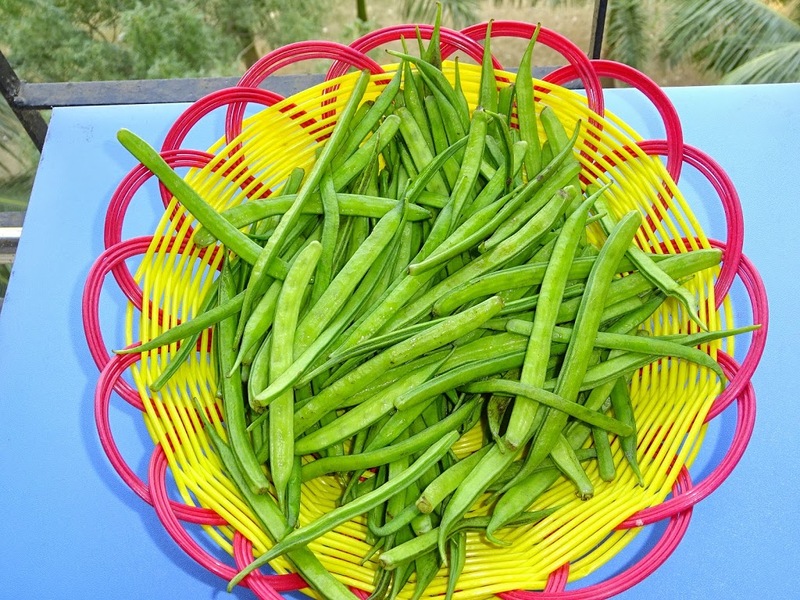 Guar gum is chemically similar to locust bean gum, and the two are often used together. Guar is not quite as effective as LBG at ice crystal suppression, but gives greater viscosity than LBG at similar concentrations. In combination, guar and LBG strengthen each other—when using the two together, you can use a lower total quantity of gums. Guar gum has only been in use since the 1950s, but the guar bean has been cultivated in India as a protein source for hundreds of years. Guar’s main use, besides strengthening the effect of LBG, is to add body. In high concentrations, it can make ice cream that’s chewy and elastic—either a flaw or a benefit, depending on your point of view. In New England, they like a lot of guar. 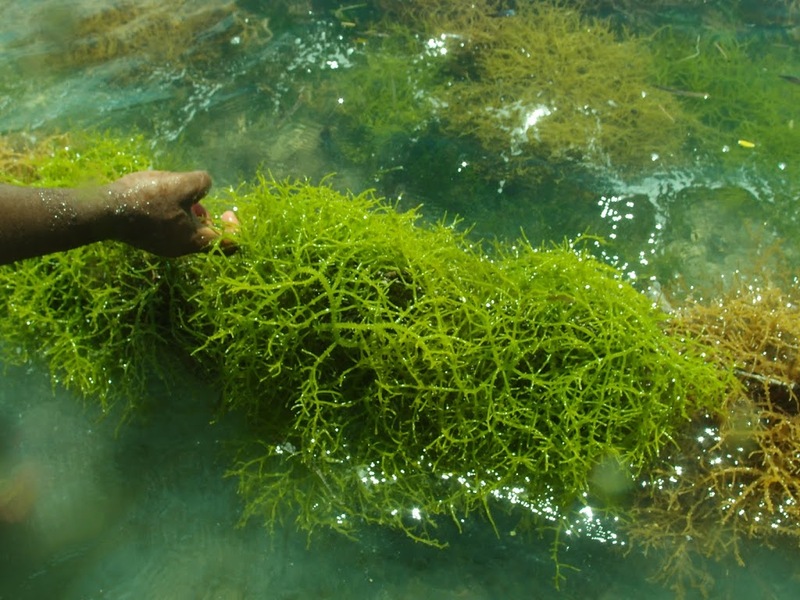 Carrageenans are extracts from Irish Moss seaweed (chondrus cripus). They’ve been used as food thickeners since the 15th century. Modern versions of carraggeenan are divided into types based on the details of their molecular structure. The most common in the culinary world are Kappa, Iota, and Lambda. These types have different solubility temperatures, gelling characteristics, and interractions. The most useful type in high quality ice cream is Lambda Carageenan, since the others form gels in the presence of calcium (dairy products). See note on gels, below). Carrageenan has a moderate effect on ice crystal suppression, and a strong effect on texture, especially of the melted ice cream. Carageenan creates a rich and creamy mouthfeel similar to egg custard, but does so without adding any flavor of its own, and without muting other flavors. Carrageenan’s secondary role is to prevent wheying-off, a phenomenon of milk proteins preciptating out of suspension, aggregating, and creating grainy textures. Locust bean gum and carboxymethylcellulose can induce whey-off, so when these stabilizers are used you’ll usually see at least a minute amount of carrageenan. Giant kelp / brown algae. Where we get the alginate. 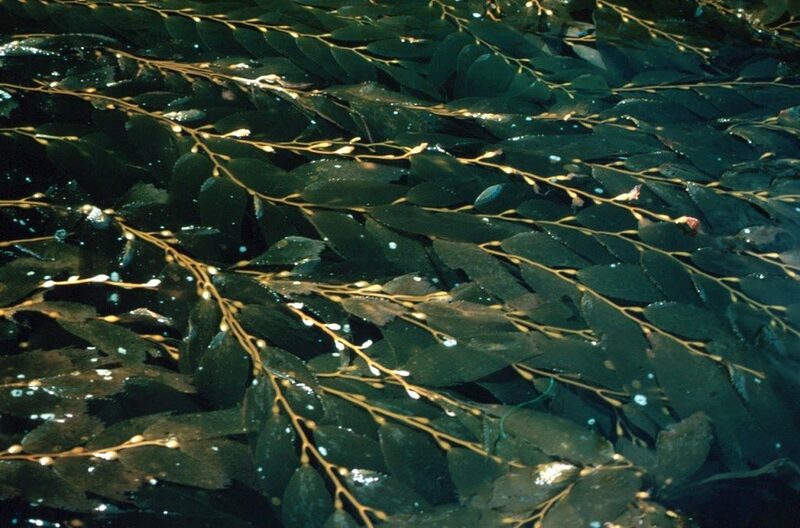 Sodium Alginate is another seaweed extract, made from a brown seaweed grown in cold water areas. It’s a popular stabilizer, especially in low-fat and fat-free ice creams, because it forms a gel in the presence of calcium ions in the dairy. Its gelling quality makes it less useful in standard recipes (see the note on gels, below). The gel breaks into a fluid gel when the ice cream is spun, creating a unique body and viscosity. It’s quite effective at ice crystal suppression. Carboxymethylcellulos, also called cellulose gum, technically called sodium carboxymethylcellulose, is synthesized from plant cellulose. It may have the strongest ice crystal suppression of any known gum. It adds body and chew comparable to guar, and is synergistic with locust bean gum, guar, and carrageenans—it forms a gel in combination with these ingredients, with can be problematic (see note on gels, below). There are low-viscosity varieties of CMC that suppress ice crystal formation with very little increase in base viscosity, if they’re used in a non-gelling blend. These theoretically allow you to control iciness and texture completely independently. Examples include TIC Gums CMC PH-15. CMC is not popular in higher quality ice creams, because it is a synthetic ingredient. While the word “natural” is rather ambiguous, CMC lies outside most interpretations of natural. This is perhaps more a marketing issue than a real one—there are no health concerns associated with the stuff. It’s just a big polysaccharide like the gums that come from ground up seeds. Nevertheless, I’ve only experimented with it once and was dissuaded by its gel-forming with other gums. You can get xanthan at the supermarket these days. Xanthan Gum is created by bacterial action, when the organism Xanthomonas campestris chomps on glucose, lactose, or table sugar. It’s a fermentation product, much like cheese and booze. Xanthan is often called the “wonder gum,” because it’s easy to dissolve at any temperature, it thickens at any temperature, works at a wide range of acidities, can tolerate alcohol, freezing, thawing, and just about anything else. 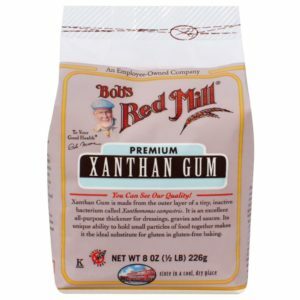 While most gum recipes require a scale that reads to 0.01g and careful dispersion and heating, cooks find xanthan pretty friendly in an old-fashioned-ingredient way. Need to stabilize a vinnaigrette? Toss in a pinch of xanthan and whisk until it’s dispersed. Want to add a bit of body to a sauce? Make a slurry with a pinch of xanthan, and whisk in just as you would with cornstarch or arrowroot. Xanthan is not, however, my first choice in ice cream stabilizers. It does an acceptable job, but is not the most powerful ice crystal suppressor. And it forms a gel when used with locust bean gum. This makes the mix harder to handle. See note on gels, below. I do recommend xanthan for anyone interested in starting experiments with stabilizers. You can get it anywhere now, and it’s worth having around for a million other uses. Dondurma vendor offering a cold chew. Salep, Mastic, Gum Arabic, and Konjac Flour are specialty stabilizers used in Dondurma, a traditional taffy-like ice cream popular in Turkey and Azerbaijan. 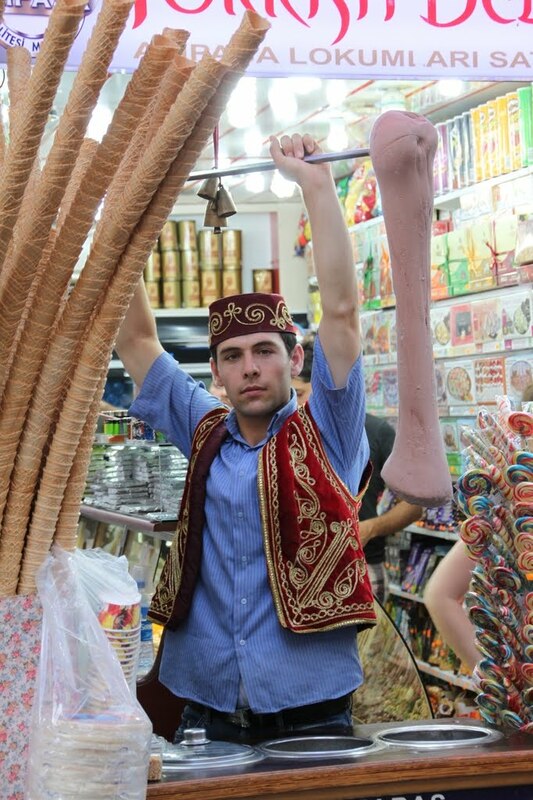 Also called Maraş, this ice cream is both chewy and resistant to melting. Salep (flour made from the root of the Early Purple Orchid), and Mastic (hardened sap the Mastic Tree) are traditional. Gum arabic (hardened sap of the Acacia Tree) and Japanese konjac flour (starch from the Konjac, aka Elephant Yam) are more readily available substitutes. A combination of gellan gum (a microbial gum like xanthan, which forms gels) and guar can also substitute. Denatured Whey Proteins: Some of the whey proteins, which make up 20% to 25% of the total protein in milk and cream, can form a gel-like network when heated to the right temperature for the right amount of time. This network functions in the same way as the other hydrocolloids discussed here. Whey proteins may also be denatured chemically or enzymatically, using processes that are probably out of reach in the home and pastry kitchen. We don’t know what they do at Haagen Dazs, but they’re doing something. See extended discussion in the post on Emulsifiers. Gelatin hydrates when cooked to 60°C / 140°F. Any standard cooking step will take care of this. Both the gelatin and the xanthan suppress ice crystals and increase the viscosity of the mix. The gelatin forms a weak gel that melts at body temperature and strengthens in the cold, so its effect is most pronounced on the ice cream in the frozen state. The xanthan gum’s activity is almost completely independent of temperature. So its effect is most pronounced on the ice cream in its melted state. So if you want more body, increase the proportion of the gelatin. If you want a creamier melt, increase the proportion of xanthan. You can experiment freely, but be warned that at much higher concentrations, xanthan’s mouthfeel goes from creamy to slimy. If you’re not getting the results you want from this blend at modest concentrations, you should move on to the other gums. Mix should be cooked at least to the hydration temperature of the locust bean gum. TIC Gums versions hydrate at 74°C / 165°F—most brands hydrate at temperatures higher than what’s ideal for most ice creams. All three gums suppress ice crystals and affect texture, but not equally. The Locust Bean Gum is the most powerful at suppressing ice crystals. It has a subtle effect on increasing the body of the ice cream and the creaminess of the melt. The Guar amplifies the power of the locust bean gum, and has the strongest effect on the body of the frozen ice cream. Significantly increasing the guar will make the ice cream chewy and elastic. The Lambda Carrageenan has the strongest effect on the consistency of the melted ice cream. Its mouthfeel is similar to that of custard, although it has a somewhat cleaner finish. If the melt feels too milky or watery, you can subtly enrich it with a bit more LCG. This is the same as the standard formula, but increased 50%, and with soy lecithin added. Egg custard has thickening and stabilizing benefits, so its elimination requires a higher concentration of gums. The eggs also act as emulsfiers (see the next post). The lecithin content of this blend is equal to a large egg yolk. You could theoretically use less—as little as 1/3 this much. All the notes for manipulating the standard formula apply here. Be careful if increasing the lecithin. You probably don’t have to. If you go too far, it will actually impede the whipping of the ice cream. This should be blended into the syrup portion of the sorbet, and brought to a simmer. At this point, flavors can be infused into the syrup (sugar syrup is a powerful solvent for both polar and non-polar flavor molecules). Syrup should be chilled for several hours to allow gums to fully hydrate. Then it can be mixed with chilled fruit puree and frozen into sorbet. This is similar to the standard formula, but with iota carrageenan added, and total gum quantity doubled. Sorbets have no cream, and are low on solids. They have little to no inherent creaminess, and a lot of water to stabliize. The iota carrageenan forms a weak gel in combination with the locust bean gum, adding viscosity and body. The gel breaks easily into a fluid gel under shear and then re-forms. It’s freeze-stable and helps give a creamy texture. Most sorbets have no fat content and so have no need for emulsifiers. If you wish to make a sorbet with chocolate, nut butters, olive oil or other fatty ingredients, you may get smoother results by adding some lecithin (maybe start with 1.5g / Liter). We’ll look at all this in greater depth in a future post on sorbets. Three aspects of gums demand attention: measuring, dispersing, and hydrating. They can be tricky to measure for small batches because the quantities are minute. You should have, in addition to a higher capacity scale, a small scale that reads to 0.01g. There are many available on Amazon and Old Will Knott Scales for under $40. Dispersion means mixing the dry ingredients into the wet ingredients evenly, without clumping. Gums make this tricky. So does milk powder. The first defense against clumps is to thoroughly stir all the powdered ingredients together. Locust bean gum will only clump with locust bean gum; dry milk will only clump with dry milk, etc.. So if you mix all the powders together, including the sugar (which makes up a lot of bulk and doesn’t clump at all) you can keep the individual powders separate long enough for them to disperse without clumping. Hydration, of course, means soaking up water. Gums don’t do anything until they’re hydrated, and many of them need time, or heat, or both. Lambda carrageenan hydrates fairly quickly at room temperature. Guar hydrates at room temperature but can take over an hour to reach full viscosity. Locust bean gum needs to be heated, to 74°C–85°C, depending on brand. It may take many minutes at temperature to hydrate fully. Some pastry chefs, including Francisco Migoya, save time by mixing a large batch of stabilizer. Then it can be stored and measured out as a single ingredient, like a commercial blend. This approach demands throrough mixing. It makes the most sense if you use the same stabilizer blend most of the time. If you experiment, pay special attention to the finish—the flavors and textures left behind in your mouth after swallowing. A successful stabilizer blend won’t be detectable. The ice cream flavors should linger and continue to develop, but shouldn’t be indelible. The feeling of creaminess should gradually dissipate. It should not devolve into pastiness or stickiness. These kinds of textural flaws point to over-stabilization, or to poor choices in stabilizing ingredients. I like the locust-guar-lambda blend as much for its transparency as for its effectiveness. Some common stabilizer ingredients form a gel in ice cream. Examples include Sodium Alginate and Kappa Carrageenan (which gel in the presence of the dairy’s calcium). Other ingredients form gels in combination with each other. Examples include xanthan gum with locust bean gum, locust bean gum with kappa or iota carrageenan, and carboxymethylcellose with locust bean gum, guar gum, or any carrageenans. Gels are solids that exhibit properties of a liquid. Technically they are colloidal dispersions in which the solid forms the continuous phase, while the liquid (we’re always talking about water in the ice cream world) forms the dispersed phase. The solids create a network, with either physical or chemical bonds, and typically work in very small quantities—often less than 1% the weight of the water. Gels can be strong or weak, yielding or elastic, brittle or tough, high or low viscosity. Under shear, some gels exhibit brittleness and crumble (like flan), others stretch and bounce back (like gel-o), others deform (like clay), others form a fluid gel that after sheer reforms into a gel (like iota carrageenan), others form a fluid gel that after sheer stays fluid (like agar). To gel or no to gel? For most ice creams, I prefer non-gelling stabilizers. They tend to have a less intrusive texture, and to work more predictably, and to be easier to handle. Often with gelling stabilizers, the mix will be too thick after aging to spin efficiently in the ice cream machine. It will have to be thinned with a blender first, turning it into a fluid gel. If possible, I like to avoid this added step. If you’re making low-fat or fat-free ice creams, or sorbets, gelling stabilizers become useful. They can add body and creaminess that’s often lacking in these recipes. I hope this post has made a case for the usefulness of stabilizers—of custard, at least, but preferably something with a bit more effectiveness and flexibility. The questions should be about how deeply involved you want to get. Commercial blends are easy to find and easy to use. They go into many of the world’s best ice creams every day. Pastry chefs who know more than i do—about basically everything—rarely have a clue about the level of hydrocolloid micromanagement we’re discussing here. So why bother rolling your ownI? Well, you’ve read this far, so you’re probably a geek who likes to tinker under the hood of the world generally. And you may appreciate the level of control afforded by the DIY approach. Blending your own stabilizer is like the next step beyond using curry powder from the supermarket—discovering that there are a dozen spices in there, that they can be varied by proportion and by how they’re added to the dish. I have another motive, inspired by my days as a darkroom-obsessed photographer. In any technological medium, your creative process can become dependent on proprietary manufactured products. And when these products are discontinued, or “improved,” you’re screwed, at least until you scramble to figure out an alternative. I learned the hard way the benefits of mixing my own formulas from generic ingredients, after watching some favorite photographic papers and developers vanish. I gradually weened myself from proprietary stuff whenever possible. The kitchen’s no different. A company like Cuisine-tech could stop making Cremodan tomorrow—but someone’s always going to be selling plain old locust bean gum. In the end, stabilizers are just ingredients like any other. If they seem daunting, it’s only because textbooks and cookbooks and culinary websites haven’t addressed the topic adequately. Until they do, I hope the information here proves useful. Next post: some equally breezy gossip about emulsifiers. —Caldwell, K. B.; Goff, H. D.; and Stanley, D. W. (1992) “A Low-Temperature Scanning Electron Microscopy Study of Ice Cream. II. Influence of Selected Ingredients and Processes,” Food Structure: Vol. 11: No. 1, Article 2. Yesterday I made a sorbet base using the sorbet stabilizer combination suggested above. I will be churning it later today but was curious about yesterday's result (it's my first attempt at using stabilizers). I combined the four dry ingredients and sugar thoroughly, dispersed in a blender, heated to 185 or so, then chilled overnight to allow for rehydration. This morning, it was quite gelationous, more than I would have expected, like a thick Jello. I added it to the fruit base and then used an immersion blender to break things up and it seemed to work pretty well at smoothening things out. However, I wasn't sure if it's supposed to be so thick. I am sure I used the correct amount of stabilizers, as I did the calculations in Excel and entered the above numbers to test it, and have an accurate scale that can read to those amounts. I was just wondering if that "Jello look and feel" was normal. I read your writing view and it help to me in making a ice cream. I’m thinking the first sentence is correct? Aren’t stabilizers for controlling ice from water content vs being involved with fats? Is that second sentence supposed to be “emulsifiers” instead of “stabilizers”? "Even non-vegetarians are occasionally skeeved by knowing their ice cream contains rendered beef and pork tissue." I'd offer visit and bring you some, but am a bit concerned about Customs buying my story about the bags of white powder. Since you have xanthan and gelatin, you can always start with that, using the first formula above. If you find this isn't strong enough, rather than increasing the concentration, you could try mixing in guar, which multiplies the power of xanthan, but with a low risk of gross textures. I don't have experience using agar and alginate, although I've seen both ingredients used in premium ice creams at the store. These are gelling ingredients, and so may be a little harder to handle. If you experiment, you may find that the mix forms a pudding-consistency when it ages, and will have to be blended again to form a liquid (technically a fluid gel) that will freeze properly in an ice cream machine. Have you looked at some of the places that ship internationally? Maybe it wouldn't be too expensive ordering from Europe. In the U.S., Willpowder and Modernist Pantry may ship to you. Chefs in Johannesburg must be getting this stuff somewhere. Have you tried any local cooking or chef forums, or an international forum like egullet.org? I did contact Modernist Pantry about their locust bean gum's hydration point and they responded (within the hour!) saying that it was 165F/74C. If so, always nice to have more options! Looking forward to a possible sorbet post on Underbelly! If you skipped the carrageenans, there would be much less viscosity and creaminess. The iota carrageenan is the most important player here; it forms a weak gel in the presence of locust bean gum—so weak that it won't really seem like a gel, because it turns to a thick fluid as soon as you disturb it, and then reforms. This quality is helpful for giving creaminess and body to a recipe that's very low on solids. The lambda carrageenan doesn't help with the gelling; it just does nice things for texture generally. If you had to leave something out of this blend, it would be the lambda carrageenan. I haven't used MP's perfected guar gum, but have used other products of theirs with great results. Many companies make similarly improved guar gums. I haven't bothered with them because in ice cream, the quantities of guar are so small that you'd never taste the gum over the other flavors. And if you're already planning to use a blender to dissolve your other gums, it's not going to make a difference if your guar is especially easy to dissolve. That said, if you're planning to use the guar for other things, that's probably a good one to have around. Those improvements probably make it a bit more versatile. With the sorbet blend, what kind of a change would result if you did not use either of the carrageenans, and only used the Locust Bean Gum and Guar Gum? Also, what do you think about the "Perfected Guar Gum" from Modernist Pantry? They say that they have removed the taste, and that it is agglomerated for easier mixing. Have you used any of their other products? Seems like they have a good selection and prices. I wasn't sure if this was the best way to present these formulas. Every method I tried was confusing in its own way. I grudgingly decided on using ratios, since these posts are meant to be instructional, and that gives the best sense of a blend's composition. For the total quantity of stabilizer, I switch to percentage, since that's how stabilizer quantities are usually given. Here's how I do the math: If the ratio is 4 : 2 : 1, I just add those up and see how many parts there are total. In this case it's 7 parts. Then calculate the total quantity. In this case it's 1.5g. 1.5g divided by 7 is 0.21g: that's the size of each part. Then all the other parts are multiples of this—either double or four times. As you figured out, the quantities I originally gave are rounded (I should have been more clear about this. I round down because my 1 liter recipes have closer to 900g ingredients). Wow, probably the best article I've read on stabilizers: very thorough yet easy to understand. You have a knack with summarizing complex topics. A question regarding the ratios. You gave example amounts for the four Blends and they seem to be specifically for a one liter recipe. If so, would the pertinent takeaway here be to use the prescribed ratio but calculate those amounts using the recommended percentage by weight of the mix of stabilizers? In other words, for Blend 2, "0.8g 0.4g 0.2g for 1L (0.15% total)", would the idea be to first calculate the total amount of stabilizer to be used (0.15% of your total ice cream base weight) and then proportion that out at 4:2:1? I like the idea of minimizing the amount of water - just enough to hydrate the stabilizers. Could you also just heat up some of the fruit puree to hydrate the gums instead of using water? Something very weird went on when I weighed out those stabilizers. I am sure I was reading the scale correctly but I clearly way over-stabilized it. Like by a factor of 10 or so. ;) Next time, I will change the scale to grams - maybe something got messed up with decimal points. And I will definitely be watching volumes - if you came up with 2.5 grams for a teaspoon, that means your recommended total weight of stabilizers of 3 grams is about 1.25 teaspoons by volume. So after measuring out the first one of the four stabilizers, I'd better be way less than a teaspoon, or something's wrong! Regarding the peach and watermelon sorbets, yes, same exact recipe and stabilizer mix, except the peach also had the 50/50 simple syrup. I think the reason the peach was under-stabilized was because 8 ounces of water was added to make the simple syrup, and that was too much water for the stabilizers to overcome. I've recently started wondering about just adding pectin to the recipe and see if that can act as a stabilizer/thickener for watery fruits like watermelon. not sure what's going on with your sorbets. In general, it's of course preferable to add as little water as possible. In a future post I'm going to discuss sorbets. I'm working on ways to make them with as little added water as possible; the success of these methods depends on the heat tolerance of the stabilizers. My basic idea is to use a small quantity of water, hydrate the stabilizers, and then use this heated water to make a very low-hydration syrup. This will be thick and will have to be blended in with the fruit puree. To your other question, I just weighed a teaspoon of my locust bean gum (from TIC gums) at 2.5 grams. So whatever you're using must be seriously fluffy. I'm looking at your recipe examples ... they're identical, except one was peach and the other was watermelon? The peach seemed understabilized and the watermelon overstabilized? I don't know what that could be about. When fruits contain a lot of pectin, they're pre-stabilized, so that can require adjusting the recipe. But both peach and watermelon are low-pectin fruits. Are you getting the gums from a reputable source? In terms of volume, approximately how much stabilizer is one gram? So, I've tried two sorbets now with stabilizers. The first sorbet was peach and I made two batches, one with and one without stabilizers. The brand of stabilizers I'm using is Modernist Pantry. This one turned out pretty icy though it was OK when it warmed up. I didn't notice any effect from the stabilizers. To compare, I made another batch of peach with the same puree but with no stabilizers and no added water (no simple syrup, just dissolved the sugar in the puree), using 24.00 oz of strained puree, 12 oz of sugar and 2 ounces of corn syrup. This turned out excellent in terms of texture. My thoughts on the semi-failed peach sorbet experiment are that the amount of sugar and stabilizers were not enough to make up for the extra 8 ounces of water contributed by the simple syrup. Yesterday I made a watermelon sorbet. The base was 24.00 ounces of strained puree, 14 oz of sugar, 2 ounces of invert sugar. Total weight was 40.51 ounces. I used the same exact proportions and types of stabilizers in the proportion of 4:2:2:1 with a total of 0.30% of total base weight of 40.51 ounces. This came out to a total stabilizer weight of 0.1215 ounces, which is 0.30% of the total base weight. Something very strange seems to be going on. I double and triple checked my Excel calculations, even using your figures above and they come out perfect. I double and triple checked my scale, even comparing it to my regular less accurate kitchen scale and the numbers are the same, to the accuracy of the second scale (so I at least I know they aren't grossly off). What's weird is the actual amount of stabilizers I ended up with. From what I've seen online, usually people seem to say that your total stabilizer amount should be about 1/2 to 1 teaspoon for a one liter batch. I ended up with between 1-2 TABLESPOONS!! Even just the LBG is nearly a teaspoon by itself. Yet it is only 3 grams on the scale. I took a photo showing the scale reading, the amount of LBG, and a teaspoon next to it for scale - not sure if I can upload it here. I think the problem has to do with the amount of stabilizers that I ended up with. But I can't figure out where the problem is... the math and weights displayed are correct. that's a curious result—I get a very weak gel from this formula. More like a shear-thinning liquid. The first thought that comes to mind is that your carrageenan is very different from mine. Just to get this out of the way, are you sure you're using a lambda carrageenan and not a kappa? Kappa will indeed gel strongly like that in the presence of locust bean gum. If you're using lambda, it's possible that your brand is significantly different from the TIC Gums version I tested with. It's easy to forget that these are natural products and that there will be variation from one brand to another. Can I ask which one you're using? And while we're at it, what other specific gums? One other possibility that just occurred to me is that there could be some synergy with something in the fruit, like pectin. What kind of fruit are you using? Yeah, I agree, the lambda carrageenan is wonderful stuff. I'm surprised it isn't more commonly used. If hardness is an issue, that's really just about freezing point. Definitely try playing with the sugars ... either the quantity or the ratio of dextrose, depending on how sweet you want the recipe to be. In the sorbet recommendation, I will try to experiment with less iota and a lot more lambda. In a sorbet I am making now, I use 3:1 lambda to lbg and it turns out very nice, although a little hard, I will try the sugars in a couple of days. Greeting from Thailand, Thank you soooo much for your use and throughout review. I tried so so long to find this specific detail to make my dad who had diabetic and hypertension but he was a big ice cream fan. Your website lighten up my day. Your are the best one I come across. are you mixing with a blender? It's strongly recommended to do so when you're using gums in order to disperse them adequately. Egg clumps shouldn't be a problem under any circumstances (just mix them in thoroughly before cooking the mix), but a blender would certainly do away with that concern. An ice cream maker with a built-in freezer doesn't eliminate the need to pre-chill the mix. This is because there's a time component as well as a temperature component. It takes a minimum of 2 hours once the mix reaches the aging temperature (below 38°F / 3°C or so) for the fat globules to fully crystalize. This makes a big difference. The only machine I know that ages the mix for you is the Bravo Trittico; it cooks, chills, ages, and then spins the ice cream following a program. It's a robot. And it costs as much as you'd expect a high-end gelato-making robot to cost. That is great advice. I'm going to try the process you recommend this weekend. My ice cream maker has a freezing component, which allows for continual/unlimited cooling. Therefore, outside of the benefits of aging, I can make ice cream directly from a hot mix. With getting more advanced with recipes and taking note of details, I have not done so recently. That's a great tip about the stabilizers. I'll add them with a mix of salt/sugar/gum components. I'm using locust bean gum (4 parts), guar gum (2 parts) and carrageenan (1 part). I believe its Kappa carrageenan, but I don't have it in front of me. I typically like to mix the eggs and sugar together first. It helps with mixing of the egg and milk to avoid egg clumps. I think I may end up skipping the heating step, but still mix with sugar to avoid clumps while heating the milk mixture. I'll save some sugar for adding the gums to the milk mixture. your recipe looks sound; I think at least some of the problems come from the process. The first issue is that 2 hours is generally not enough time in the fridge for the fat to crystalize thoroughly, and it's also probably not enough time for the base to cool as much as possible. Both these factors can lead to excessive freezing time in the machine. You mention that you can freeze ice cream directly from a hot base in your machine? I would find this surprising in any machine; if this is truly the case I can't explain it. Regarding the stabilizers, it's quite possible that they're not hydrating properly. Generally you want to blend them aggressively, and add them to something that's as close to pure water as possible. In practice, combining them with your dry ingredients and blending into the milk works fine; there's enough free water available. But if you blend first with the eggs, they may get coated with fat and then have a hard time hydrating. There's no need to pasteurize the eggs before mixing with the other ingredients; just heating the whole mix to 165 and holding for a few minutes will do the trick. Are you using a locust bean gum that will hydrate at this temperature? I don't see how the stabilizers could have contributed to the iciness here, but I can imagine that you weren't getting the full benefit from them. Do you have any insight on Agar agar? I have looked around and can't seem to find locust bean gum. I'm glad for your reply. - The locust bean gum , I've found it recently, they're called " Carob bean powder " in my country. People say this powder is used to replace cocoa powder for the allergic. The price is quite high : 23 USD for 450g. - The carrageenan, I experimented and found that the one I had is Iota Carrageenan. Here in my country, people only sell Iota & Kappa, I can not find lambda. So, I want to experiment with guar & iota carrageenan first. May you recommend how I should build the blend of those two ? I think ( 2 Guar : 1 Carrageenan ). Is there any problem with the recipe, may I ask ? Thanks for reading and helping me ! Have you tried http://www.alifarma.com, in spain? They're a European distributor for TIC gums. I use their Ticaloid 750 product. Like many of the gum makers, they brand their products with an inscrutable name, but this is indeed a lambda carrageenan. You might also talk local gum / industrial ingredient suppliers, and ask their tech people directly. You might find some other options that are basically rebranded LC. if any of the companies are selling locust bean gum in industrial quantities, you might try asking if they'll send you a sample. Many companies will do this ... the sample size is usually several ounces, which goes a long way. If you can't get it, you can just substitute guar gum. It's not quite as effective at suppressing ice crystals, but it's quite good. It may increase the body and chewiness of the ice cream a bit more than the LBG / Guar combination. You'll have to experiment. What kind of carrageenan do you have? If it's something besides lambda, you may want reduce the quantity quite a bit. Kappa and Iota carrageenans form a gel in all but minute quantities. For most ice creams you'll want to avoid this. I think you're on the right track by trying to decrease the sweetness. Making the ice cream lower in total fat may help as well (you didn't mention fat content). For those delicate tropical fruit and root flavors, I'd think 10% to 12% milk fat would be ideal. To get enough body and creaminess, you'll want to make sure there are plenty of milk solids, either with the condensed milk you're already using, or with nonfat dry milk. I learned the technique from my grandfather who has run an ice cream shop for half of his life. He used fresh coconut milk, whole milk,condensed milk, sucrose, tapioca starch (blend with a little bit all purpose flour) and local favorite flavors like : durian, mung-bean, taro, lychee, longan ... And the finish is soft, smooth but I can feel it quite cold and too sweet for me! Ah ! The flavor is not very clear at all. Therefore, I read every document that I can find online. I found your site and decided to try gums as stabilizer. But in my country, it's not easy to buy stabilizers and emulsifiers in small quantity ( they sell them in a package of 25 kilograms ). Luckily, I have guar gum, carrageenan but I can not find locust bean gum here. So I want to ask, may I replace LBG with another gum ; if it's possible, how much should I change the blend ? There are guar gum, carrageenan but locust bean gum in my country. LBG is not popular here although I see it in some domestic brands. Can I replace it with another gums ( and how much should I use ? ) ? I am trying to create a low fat ice cream using only Locust Bean Gum and Guar Gum as stabilisers. At the moment I am using a total stabiliser blend of 0.1% with a LBG:GG ratio of 3:1. Although I have read your cooking methods and will definitely give you it a try, I am cooking my base at 55°C for 20 minutes and increase the heat to 85°C in the last minute to allow hydration of LGB. The result is a very viscous liquid and the ice cream is very chewy/gummy the next day. My recipe also has a high whey powder content and ±2% egg yolks. Could you please advise what could cause this unpleasant result even at such low stabiliser concentrations? 1. The only studies I've found in peer-reviewed journals claiming carrageenan poses a health hazard have been authored by Dr. Tobacman. 2. Dr. Tobacman has not published a study on any other topic. 3. The only studies I've found that cite Dr. Tobacman's work mention it skeptically. in vitrio on rodent intestinal cells in a petri dish. Almost all of them use preposterously high doses of Carrageenan. If you consumed such a relatively high dose of, say, table salt, you'd drop dead. 4. Dr. Tobacman is not a scientist. She's a physician. Medical doctors are not trained in performing clinical research. Real scientists have PhDs.